Our dock neighbor, and America's Largest operating passenger sail vessel, featured on the Maine State Quarter, the 1900 built, Victory Chimes. 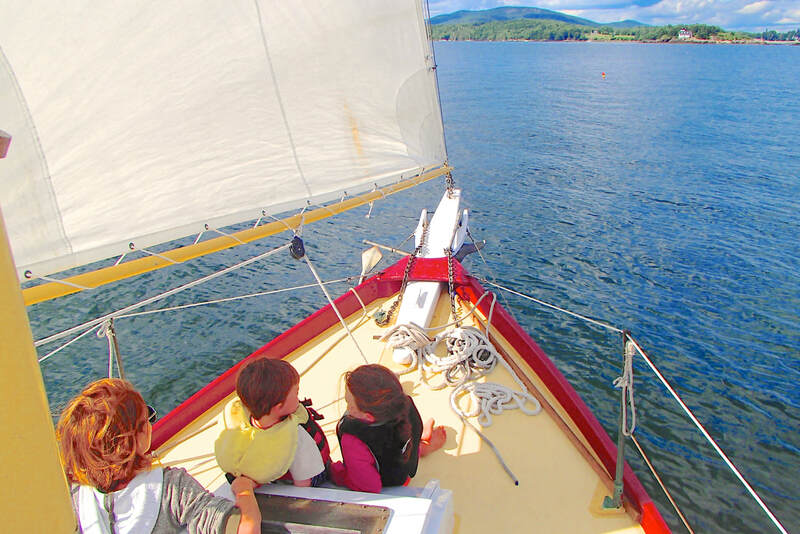 "Ideal way to watch the sunset and experience Maine." With these charters that are a bit longer, you can relax deeper, get familiar with the sweet boat, and make yourself at home as you should. The islands are frequented by bald eagles and the gurgley roar of the waves on the rocks is a soundtrack to the island scenery. Bufflehead is nimble enough, we get really close sometimes. Bufflehead is just the right size to find your own spot but not feel alone. You can steer, or we can set up cushions for you on the foredeck, or you're welcome to linger in the comfortable cockpit and chat with me! You'll really feel like you sailed. 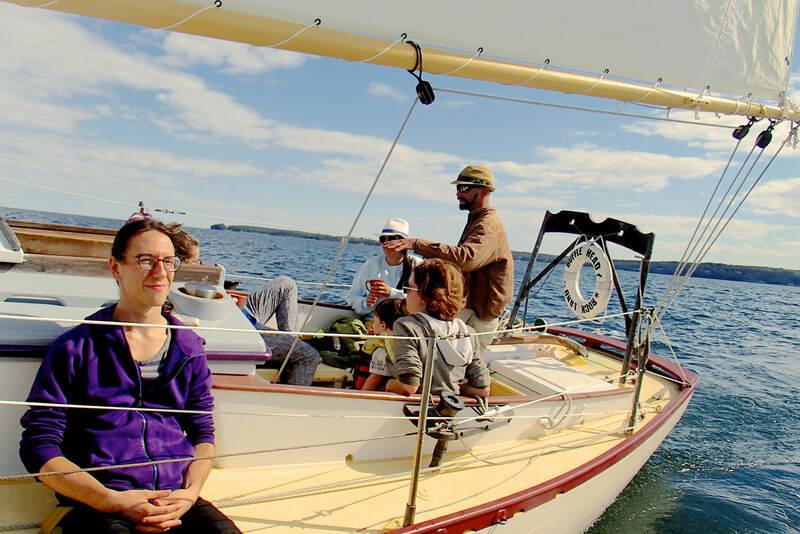 Yo​u may have taken a spell at the tiller, hoisted the mainsail or gotten used to the boom's swing on a tack. ​Three hours gives time to get to the beautiful island nearby, beyond the lighthouses, maybe get around the island. I try to cover as much as I can in pretty quick time. 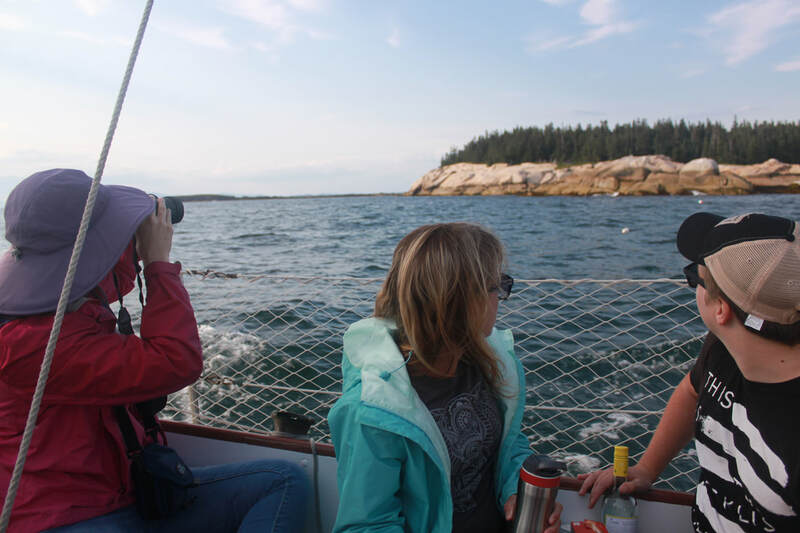 Four hours gives time to use the boat to stroll about, get to see the local sights, chase the eagles or porpoises or schooners or whatever your interest is. In four hours, we typically cover 15-30 miles! 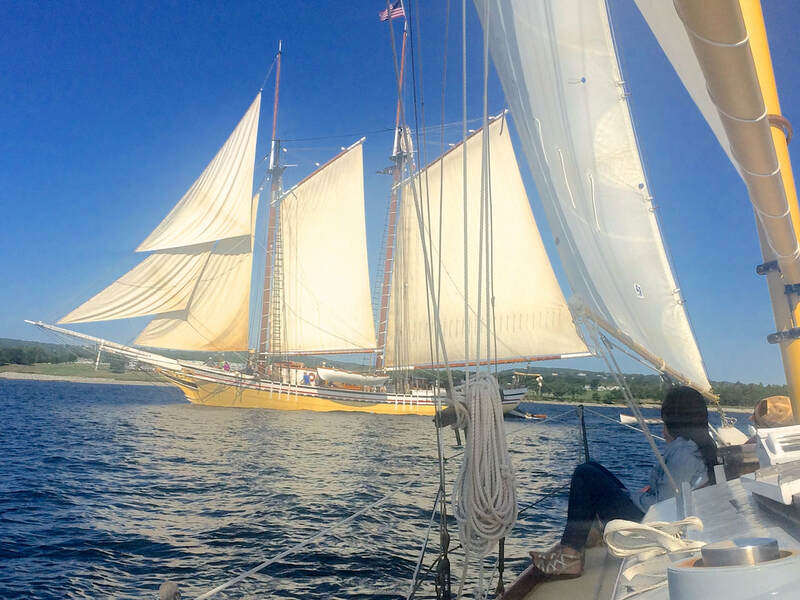 "...relaxing and beautiful and I never felt a second of seasickness." "I would go again in a heartbeat."